The BREC Communications Department produces several in-house publications throughout the year. Download current issues by clicking the links below. Each year, BREC puts on an Annual Report. The Annual Report details the goals and accomplishments of the previous year while highlighting the overall community benefit BREC provides. It also outlines how BREC has fufilled the mission of contributing to a healthier, more vibrant community by providing exceptional parks, open spaces and recreational experiences for all of East Baton Rouge Parish. Whether you’re a stargazer, an art enthusiast, nature lover, outdoor adventurer, sports junkie or just looking for a good time for the whole family. Inside our map brochure, you will find a detailed map to all the fun, including an art gallery, nature center, zoo, theatre, equestrian center, observatory, historic plantation and golf courses for all skill levels. 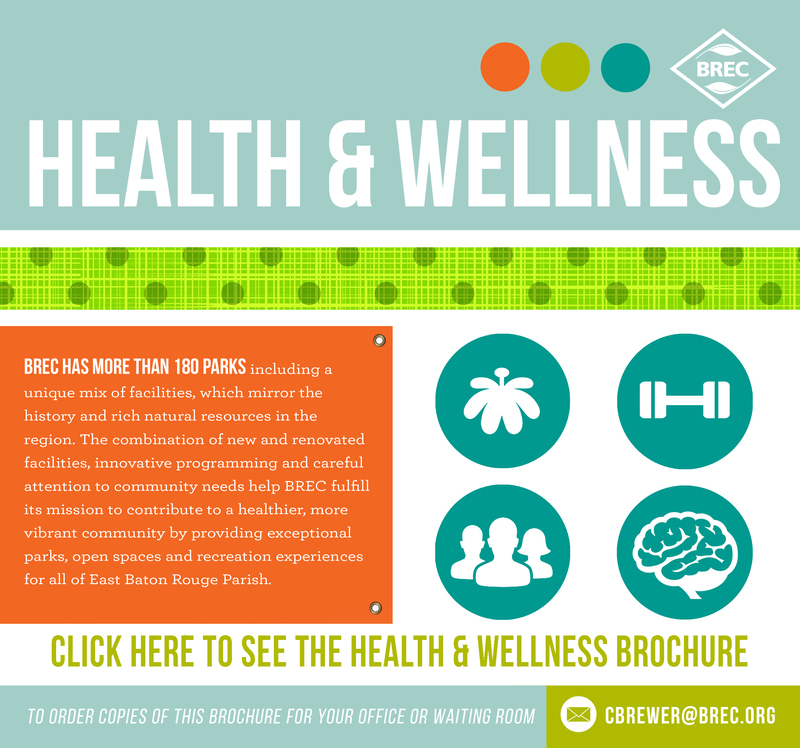 Health & Wellness is a key driver in everything we do at BREC. So we offer a Health & Wellness brochure that explains the different benefits of rarks and recreation. Download the preview or contact our Communications Department today to order copies for your agency.